Hi! I have been a busy little bee. This month is flying by and I seem to be behind on everything, including blogging! Here is the last of the Mother's Day cards... The card was delivered on time; I'm just late blogging it. 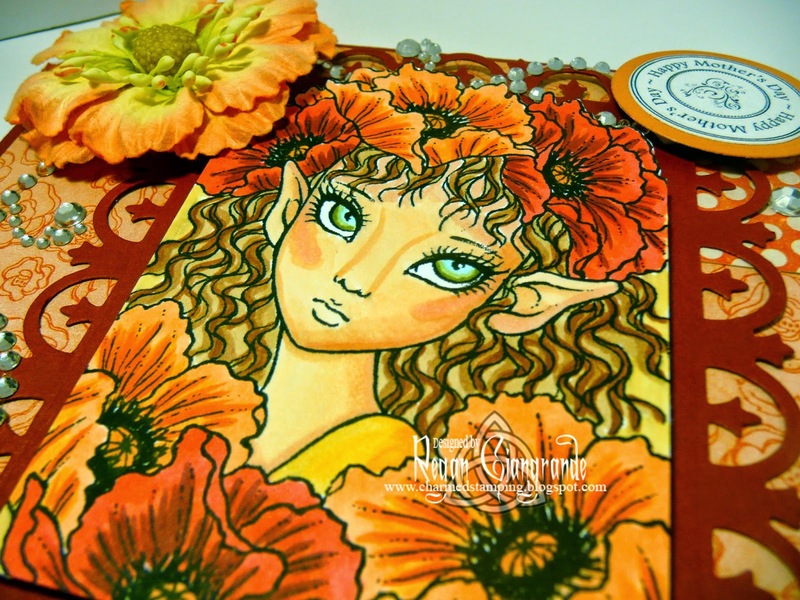 I colored up the gorgeous Poppy Elf from Stamps by Aurora Wings. 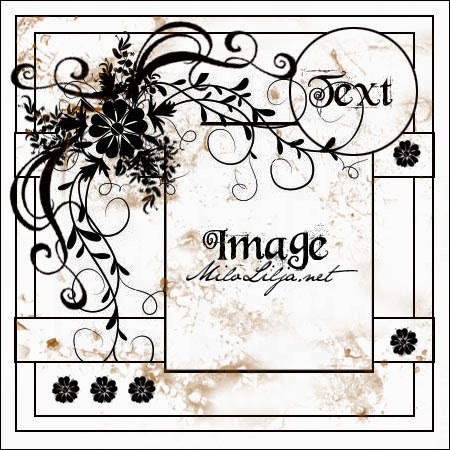 She is matted on the Nestabilities Fleur De Lis Rectangles (Spellbinders). Papers are My Mind's Eye - The Sweetest Thing: Tangerine. 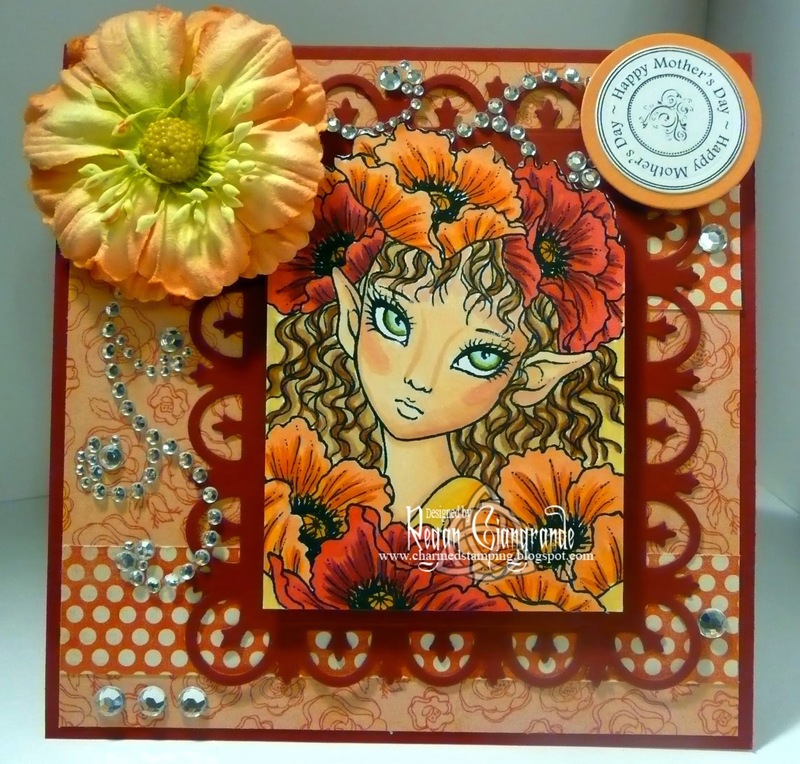 I added a big orange flower and some rhinestone flourishes. The sentiment is again the circle Mother's Day freebie from Netty's Cards. The fabulous sketch is Time 4 Scrap. 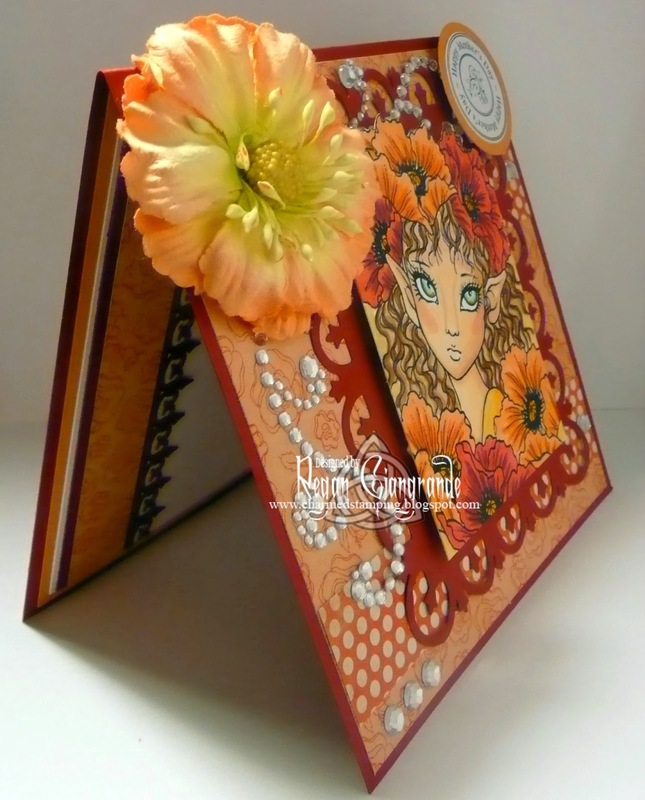 The had a special Scrapbooking Day challenge that included the amazing layout you see above! With several cards still waiting to be blogged, four pending orders, and several belated birthday cards on the To Do list (not to mention my design team work) it's going to be even busier this week! Happy Monday and thanks for stopping by! I need a nap already. Markers used: Copics (E00, E11, E21, E23, E31, E39, R20, R24, R27, R29, R35, R39, R32, Y35, Y38, B00, YG61, YG97, YR02, YR04, YR07, YR15, YR18).